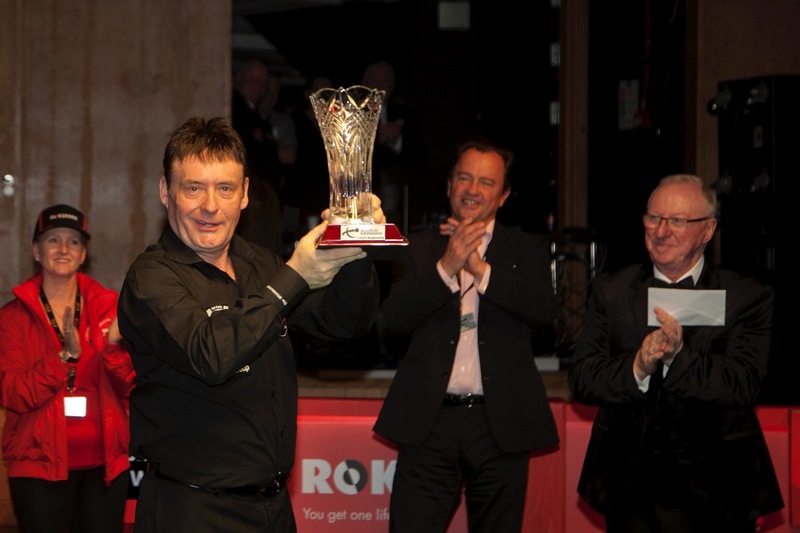 Jimmy White defeated Jersey’s Aaron Canavan 4-2 to win the inaugural ROKiT 6-Red World Seniors Championship and bank the £20,000 winner-takes-all first prize following a dramatic evening at the Waterfront Hall in Belfast. Victory for ‘The Whirlwind’ represents back-to-back successes on the World Seniors Snooker circuit following his triumph at the Seniors Irish Masters in January. Overall it is his fourth title at this level with the 2010 World Seniors Championship and 2017 UK Seniors Championship also on his CV. 56-year-old White opened the one-day tournament with a 4-1 win against dangerous qualifier Jonathan Bagley. Returning for the evening session he then eliminated career-long adversary Stephen Hendry by the same scoreline in the semi-finals, fashioning a 70 break in the process. A few hours previously seven-times world champion Hendry had ousted Joe Johnson, 4-3. White’s opponent in the final was Jersey based Aaron Canavan, the reigning world seniors champion. Canavan’s bid for a second world title inside the space of twelve months began positively as he dispatched the returning Tony Drago, 4-1. In the last four he faced pre-tournament favourite Ken Doherty, who had earlier recovered to see off Northern Irish wildcard Patrick Wallace, 4-2. There was never more than a frame between the pair and the match duly went to a deciding frame. Doherty was poised to advance when he led by 27 points, but the Irishman missed a tricky red along the top cushion that would have left his counterpart needing snookers. In an exciting finish, Canavan took advantage of the error and coolly cleared with a break of 30 to book his berth in the championship match. The final was a nervy affair as both players struggled to take control. White claimed the opener when he capitalised from an in-off by Canavan, eventually back-doubling the pink for the frame. However, Canavan got a foothold when he crafted a 46 break to square it, and after both players had made small contributions in frame three, it was the amateur’s turn to steal one on the pink. Canavan then had a glorious chance in frame four to extend his lead and move one away from glory, but an unexpected miss on the brown allowed White to pounce and level it at 2-2. Whilst there would be plenty more drama to come, Canavan’s failed conversion felt like a momentum shifter. Aided by several impressive single-ball pots, it was White who came through a post-midnight climax as a 4-2 victor and later lifted the Dennis Taylor Trophy.